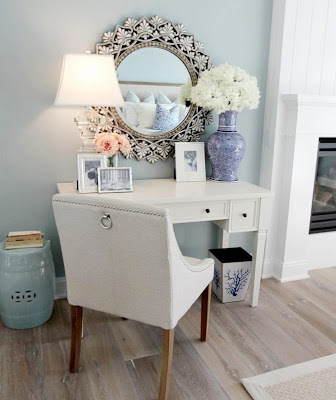 Personally I love a home office that is fresh, light, and airy; after all, even though it’s a home office you don’t want to feel like you are in an office! To me a home office should reflect your own personal style and interest, be organized, and of course be forever stylish and up to-date. 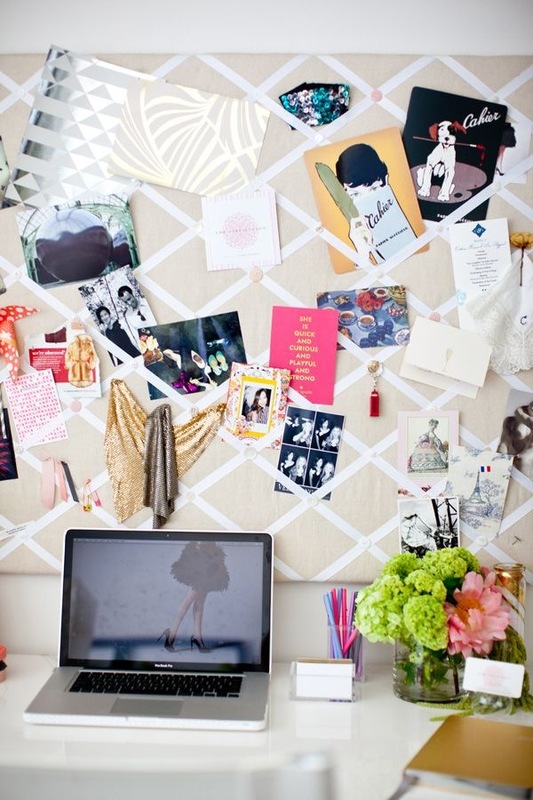 Inspiration Boards are a great way to take up empty wall space, and better yet they serve a purpose! 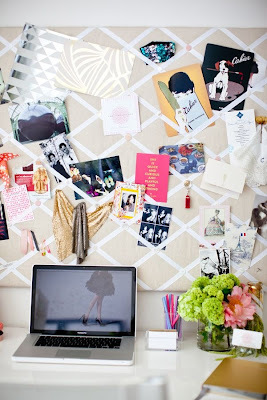 Use an Inspiration board to pin inspiring images or words, upcoming projects, personal items, and so on. Design a home office to double as a bedroom or family room. Just make sure the home office is clearly identifiable and friendly and warm. The blue desk gives the room a cool feel and I love the accent wall in the back, and of course a chandelier looks great in any room. 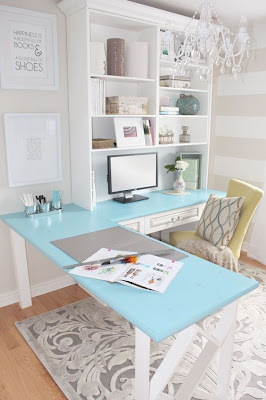 Stick to a color scheme to make the home office as a whole appear cohesive. 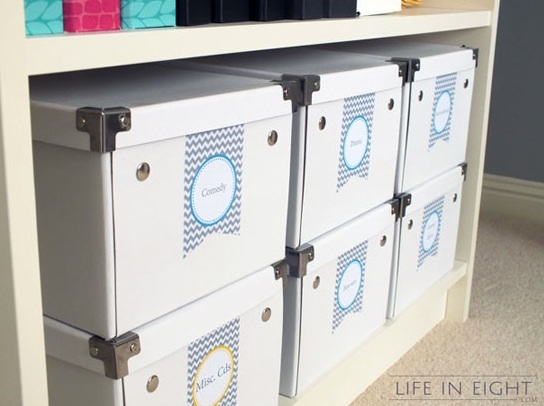 Look In your Kitchen for possible office storage items, such as glass vases or a highball glass to keep pencils in scissors in or metal muffin tin cups to help organize the desk drawers. Plus no office is complete without some beautiful fresh flowers! 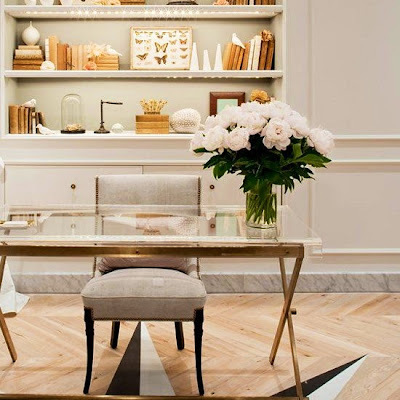 I am a huge fan of all of these home office inspirations. 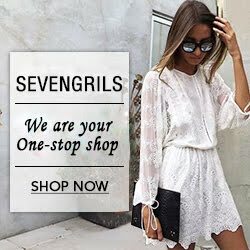 I have been living at home for the past six months, but cannot wait to get a place of my own and hopefully have a fab home office like one of these. Great home office inspirations that reflect one's personal style and interest. Thanks for posting ideas that are useful for those who want to set up their own workspace too. You're welcome :). 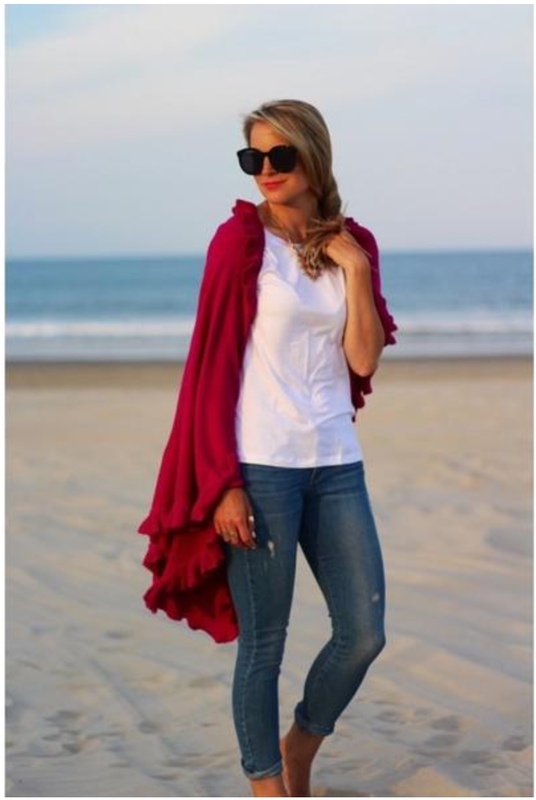 I am so glad that you enjoyed this post! 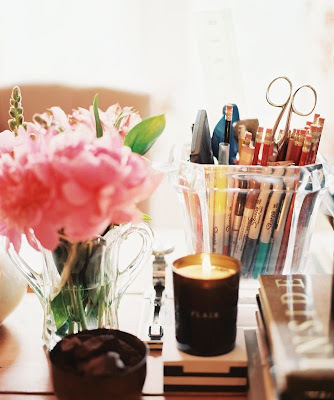 All these have an influence in striking the correct harmony amongst business and delight in your little home office.